We were about to complete 6 months of India’s Independence from the British, when entire world heard the sound of three bullets being fired in a posh bungalow of Albuquerque Road in Lutyen’s Delhi. This house, built by a millionaire from Marwari Maheshwari family, Ghanshyam Das Birla, was those days being used as residence by the most famous Indian of modern times, Mohan Das Karamchand Gandhi aka Mahatma Gandhi. Those three shots from Beretta M 1934 series semi-automatic pistol pierced Mahatma Gandhi’s body from point blank range and ended an era of non-violent struggle for freedom. Words “Hey Ram” followed the gunshots and father of nation went into a deep sleep, to never awake again. Padma Vibhushan, Shri Ghanshyam Das Birla was the member of famous Birla Family. His father, Baldeo Das Birla was adopted from Navalgarh Birla family and he later partnered with his nephew Fulchand Sodhani to venture into opium trade, which soon became a 10 million rupee business. This business was passed to GD Birla’s eldest brother Jugal Kishore Birla and GD Birla himself went to Calcutta (now Kolkata), to invest in jute business. He faced much challenges from the British & Scottish merchants, who tried to shut his business but he managed to sustain until the First World War broke. During the World War, when supply problems were at peak throughout the British Empire, GD Birla’s business skyrocketed and he could make enough fortune to afford a royal mansion right in the heart of new Imperial City of Delhi, later known as the Lutyen’s Delhi. He was also member of the Central Legislative Assembly of the British India. In 1916, shortly before he established the Birla Brothers Limited Company, he met Mahatma Gandhi and soon became a close associate. 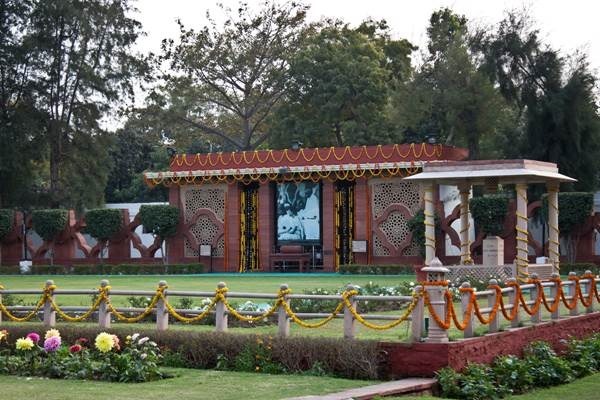 On 9th September, 1947, when Mahatma Gandhi arrived Delhi from Kolkata, he was motored to Birla House, where he spent the remaining 144 days of his life. Next few days, he visited some refugee camps and met Lady and Lord Mountbatten. He had meetings with various leaders from different sects and discussed the growing tension between newly formed Pakistan and India. Given the pain of partition riots, he said on his birthday on 2nd October “It is more proper to offer condolences than to offer congatulations; I do not wish to live long.” Given the growing tension between India and Pakistan, Gandhi started another fast on January 13th 1948, which was broken with a glass of orange juice on January 18th from hands of Maulana Azad. The next day, during the prayers, a bomb exploded, which was meant for Gandhi’s assassination. On 27th January, he wrote ‘Congress Position’, suggesting that Congress should cease as political body and should devote to people’s service. He then left for Phoolwalon ki Sair festival, the Urs celebrations at the Dargah of Khwaja Qutubuddin Bakhtiyar Kaki (ra) in Mehrauli. On 30th January, he was walking through the lawn of Birla House for evening prayer, when Nathuram Vinayak Godse shot him. Nathuram Godse was born on 19th May 1910 in Pune. Nathuram’s original name was Ramachandra Godse. Three boys born before him died in their infancy. However, a girl child survived and fearing the curse targeting male children, Ramachandra was brought up as a girl for first few years of his life. His parents pierced his nose and made him wear a ‘Nath’ (nose-ring). From this, he got his name “Ram with Nath” or NathuRam. It was only after his younger brother was born, his parents started treating him as a boy. Nathuram was a strong follower of Gandhi and respected him as a role model. In those days, he was a member of the Rashtriya Swayamsewak Sangh (RSS) and the Hindu Mahasabha. He later started a Marathi newspaper called Agrani. His fascination for Gandhi’s ideology ended when he found that Mahatma is favouring Muslims and which has made Hindus suffer. His last speech, which he delivered during his trial for Gandhi’s assassination could come as a surprise to many. He said that Gandhi’s control over congress was harming the nation and he is strongly responsible for the partition of India. 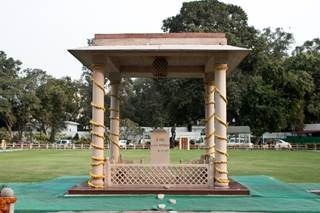 Godse said “He was, paradoxical, as it may appear, a violent pacifist who brought untold calamities on the country in the name of truth and non-violence, while Rana Pratap, Shivaji and the Guru will remain enshrined in the hearts of their countrymen forever for the freedom they brought to them. The accumulating provocation of thirty-two years, culminating in his last pro-Muslim fast, at last goaded me to the conclusion that the existence of Gandhi should be brought to an end immediately.” Godse felt that when Muslim League began massacre of Hindus during the partition, Gandhi did nothing to save them except peace appeal and later fasted to support the same Muslim League. He held Gandhi & Nehru strongly responsible for India’s Partition and justified his act of killing Gandhi.